I’ve heard a lot about this game over the years, mostly noting that the PC game was too graphically intense to run on any current hardware. An Xbox 360 version obviously isn’t running those max settings, but looks clean and as good as any other notable game from this generation. I’ve never purchased a game based on graphical reputation, and I actually did here since I knew nothing about that game aside from that reputation and tv commercials for the sequels. This is a mistake I will never repeat. Crysis isn’t bad, but it is hard. I’m not a great shooter player, even if I enjoy playing them. Halo is the only one I feel I’m good at, and that is only through practice and knowing my weaknesses as well as my strengths. I selected the “normal” difficulty which is most games would allow me a little forgiveness, especially in early levels as I get used to game’s enemies and controls. NOPE. I got killed on the first encounter. THE FIRST ONE. Didn’t even see the guy up on a ridge. And it escalated from there. Enemies hiding in brush, enemies hiding in buildings, enemies with better aim than mine constantly calling me out and spotting me even when I’m ‘cloaked’ and should be invisible when motionless. I resorted to an old Halo trick of running past groups of enemies in order to avoid a fight. I wasn’t even past the first level. Checkpoints reload really quickly to deescalate frustration, but having to rerun the same spot 6 times isn’t fun no matter what. I turned the game off after an hour. Maybe I’ll restart on easy, but not any time soon. I have played my share of LEGO games and I really find it hard to understand what makes one different from the other. The first LEGO Batman game I played for a little bit and enjoyed the Danny Elfman music that accompanied, but since it wasn’t based on a movie directly like Star Wars, the original story didn’t seem to grab me since there was no dialog. LEGO Batman 2 has voices. Plenty of talking. Clancy Brown as Lex Luthor seems to be the only role that is reprised from a previous outing, the rest of the voices I’ve encountered so far seem well cast for the more light hearted game. But it is still a LEGO game. Lots of item hunting, lots of build puzzles, lots of button mash fights. I played Co-Op with my wife, and we were occasionally frustrated by the odd split screen effects. It made some of the platforming a little hard when you needed to go up, but the screen split horizontally. We will definitely go back and play some more later. Haven’t even gotten to play as Superman or other characters yet, but was elated to hear John Williams’ theme when he showed up. I almost didn’t pick up this game, I last played Forza III and while it is a technically amazing game and really amazing to look at, I don’t tend to favor more realistic racers. I prefer Burnout. But I remembered Horizon is supposed to be a little more casual so I gave it a try. Wow, so glad I did. Easily the best game I picked up this week. It is set in an open world surrounding a festival and driving around to events I was immediately reminded of Burnout Paradise. No explosions or crazy stunts, but there are speed cameras everywhere to clock your top speed and ghost challenges from friends all over. I like the combination of night and day time events, as well as the exploration, finding old cars abandoned in barns. There is a fast travel option that I never use, not because I don’t want to spend money, but because I’d rather play to get somewhere. On the road aside from regular traffic are 249 other drivers you can challenge to races for more cash. Like a role playing game, I’m grinding that cash now so when I get to higher levels buying a new car or parts is no big deal. I don’t know if I’ll pick up a Forza 5, but if the Horizon series continues I’ll probably stick with it. 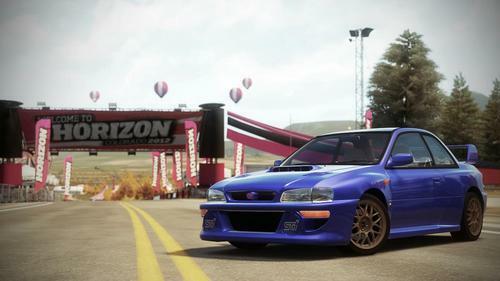 I still really hope Criterion makes another Burnout game, but the street racing sign busting from Paradise made it into Horizon, so I’m scratching that itch anyway. And now a moment of silence for my white wired Xbox 360 controller, which now sticks on the X button and has spotty success on the Y button. I’ve had it for 6 years and it is finally done. I haven’t decided if I’ll buy another wired or wireless one.